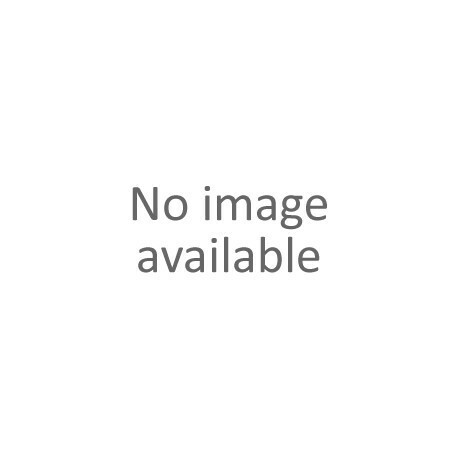 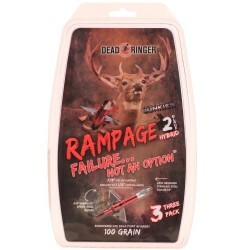  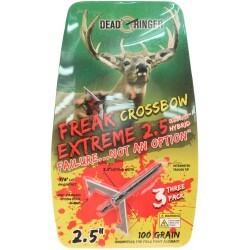 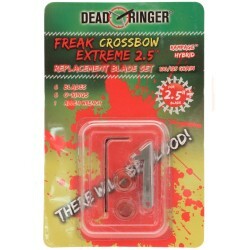 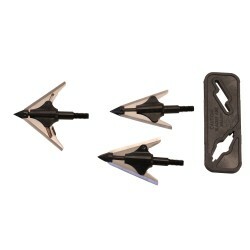 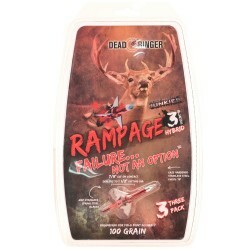 "White Tail Freaks ""Freak-Nasty"" Broadhead DR5214 on sale from AllEquipped Store"
> Shooters Supply>Archery Store>Broadheads>"Dead Ringer DR5214 White Tail Freaks ""Freak-Nasty"" Broadhead"
"Dead Ringer DR5214 White Tail Freaks ""Freak-Nasty"" Broadhead"
"White Tail Freaks ""Freak-Nasty"" is unique in the industry offering 3-Blade 2"" cut which equates to Six linear inches of cutting. 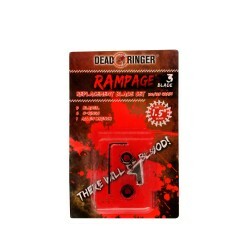 The First of its kind!!! 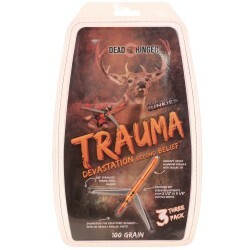 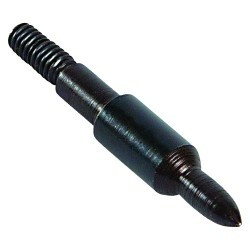 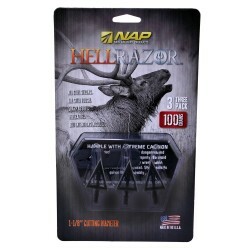 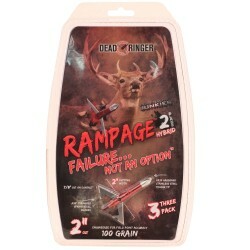 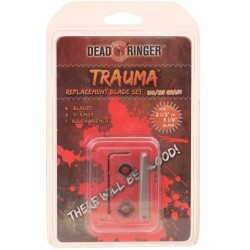 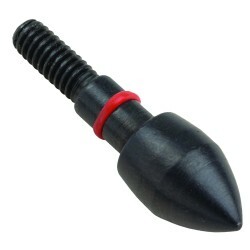 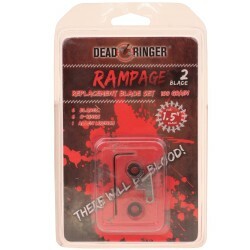 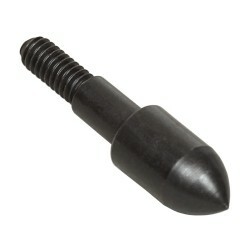 This will give you a gaping wound channel not seen in any other broad head. 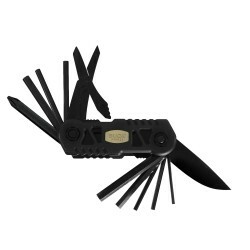 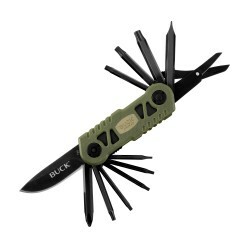 The hand sharpened spring stainless steel blades are the toughest in the industry and tested to 185 000 ft. lbs. 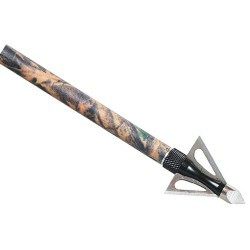 of shear strength. 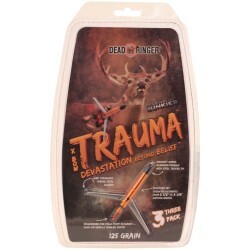 Partnered with the T-6 aluminum ferrule and bone shattering chisel tip your hunting confidence will never be higher.